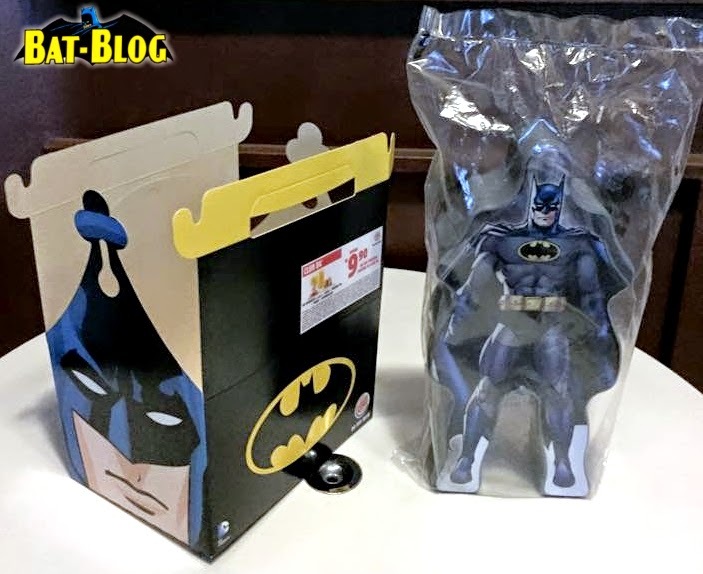 BAT - BLOG : BATMAN TOYS and COLLECTIBLES: NEW 2015 #BATMAN FAST FOOD TOYS - The Justice League Pop-Up at Burger King in Brazil! NEW 2015 #BATMAN FAST FOOD TOYS - The Justice League Pop-Up at Burger King in Brazil! 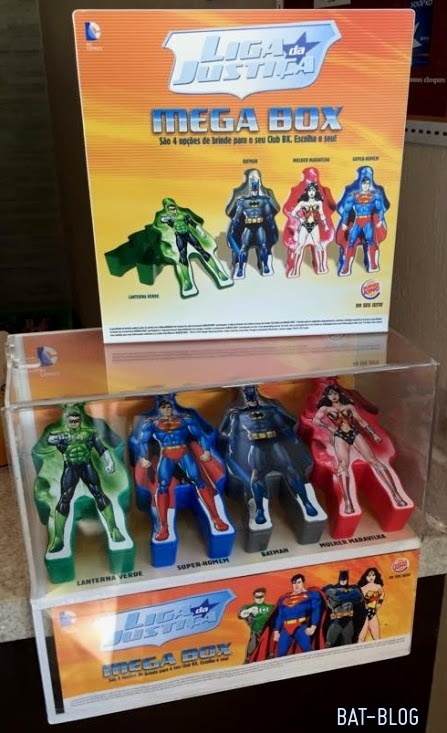 Batman Fans who love to collect fast food toys should be both excited, and bummed out, to know that right now, as we speak, they are giving away "Justice League" Mega Box Premiums in Brazil! Their traslation of the name is "Liga Da Justica". How cool is that?! But, hey! 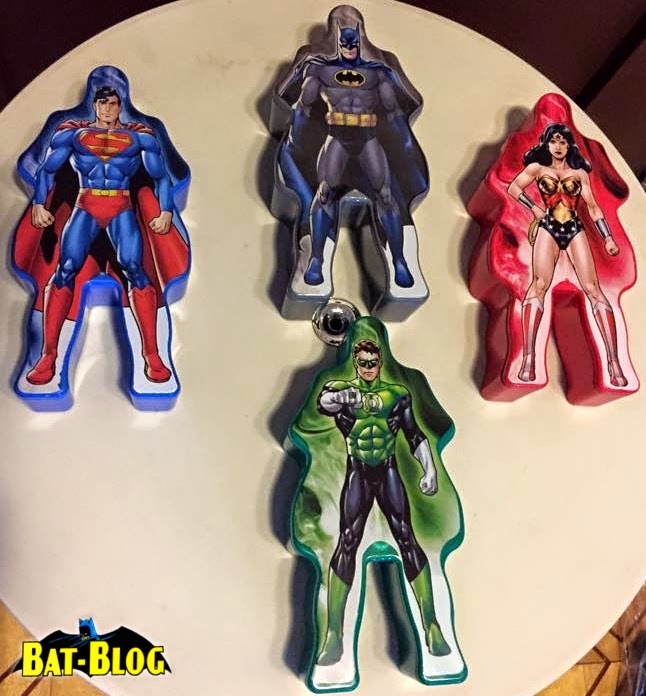 They look pretty cool and you can collect Batman, Superman, Green Lantern, and Wonder Woman. I bet these show-up on eBay soon so keep an eye out. Also, if you know someone who lives there, you can bug them to go eat there, ha!